That Mark Sakamoto exists at all is a testament to forgiveness. His grandfather, Ralph MacLean, was a young (underage in fact) soldier with a romantic notion of fighting for his country, who was sent to Hong Kong during the Second World War and quickly became a Japanese prisoner of war for the duration. His paternal grandparents were Canadian citizens living on the West Coast, affluent and cultured, who nonetheless lost everything. They were of Japanese descent and for no crime other than their ethnicity, were sent away, forced to live in what was literally a chicken coop and forced into slave labour — also for the duration of the war. “A lot of Canadian veterans from that experience would have had a visceral reaction to having a part Japanese grandchild,” says Sakamoto. And, a lot of Canadians of Japanese descent might have had an equally visceral reaction to having a grandchild with roots in the Caucasian culture that imprisoned them in their own country. “I think my grandparents came to the conclusion that if we don’t cleanse our hearts; if we pass down this anger, that would be the worst kind of surrender, a surrender to the Japanese forces and to the racist policies of the time. 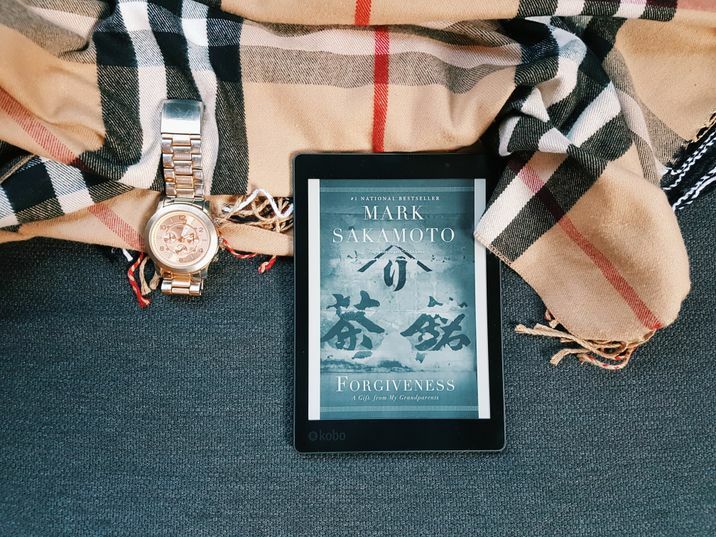 They banked on forgiveness to make a clean sweep,” says Sakamoto. Forgiveness is a contender in Canada Reads, the CBC’s annual “battle of the books”, which is intended to establish the one book all of Canada should read this year. The mandate is to find a story that has the power to “open your eyes”. 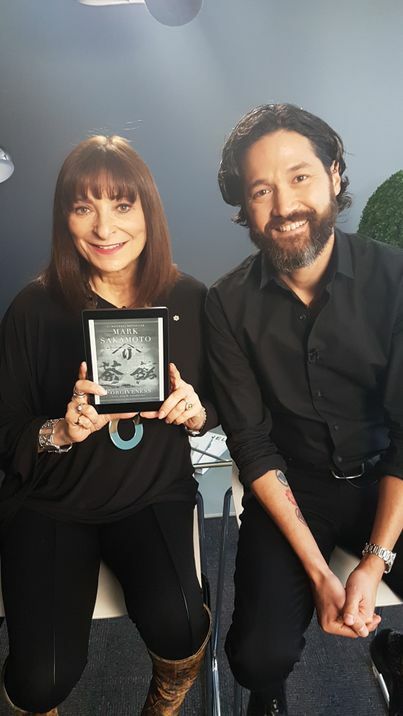 Multi-media journalist and broadcaster Jeanne Beker will defend Forgiveness in the Canada Reads battle, which will be broadcasted March 26th - 29th, 2018 on CBC Radio and TV. While Beker’s parents relentlessly described their history, Sakamoto’s grandmother was reluctant to speak of her own. But he says that no matter what legislators do, the basis of what we cherish about Canada, things like tolerance and acceptance, is built on the personal, street by street and heart by heart. For Beker, Forgiveness “certainly opens our eyes to this shameful chapter in Canadian history. But far beyond that, beyond forgiving political acts and wartime crimes, the book promotes open-hearted forgiveness and looking through a lens of forgiveness – you can apply the lessons this book is so rife with to our personal Holocausts, the pain and hardship all of us will face. This book has a great message, and anyone at any age can benefit."